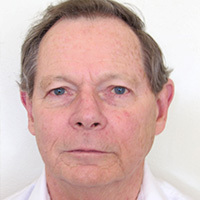 Richard has worked in water and land management for over 40 years, primarily as a research leader in CSIRO. He has also been science advisor to the National Water Commission and has worked on policy and research funding within government agencies. He has worked for the World Bank, initially as a staff member and then as a consultant, for 15 years in Africa, South Asia and on global issues. He was a Member of the Wentworth Group of Concerned Scientists from 2012 to 2017. Richard holds a PhD in physics (ANU) and a B.Ec. (ANU).